Besides diving, Kas offers many other activities that will be sure to provide a relaxing, mind-altering holiday with interesting adventures and exciting stories to tell those back home! 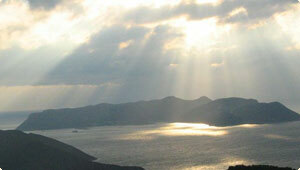 If you are a “sun lover”, interested in local culture or the landscape and nature, Kas must be experienced. You will most likely find that you will want to return time and again! 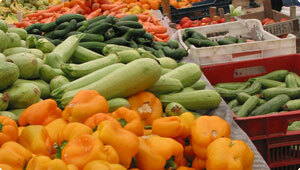 – the many activites around Kas have something to offer everyone (e.g. 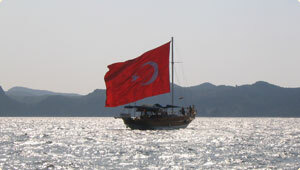 boat trips, jeep safaris, excursions, walking, climbing, paragliding and watersports just to mention a few). For those of you who prefer to travel back to ancient times you will find the Kas area to hold a huge amount of historically interesting sites. Many relics from formerly flourishing cities and ports are the usual destinations of daily excursions. Kekova: The island of Kekova and the village of Kale / Simena are a perfect destination for an idyllic boat trip. Alongside the rocky coast you can discover the picturesque remains of an ancient castle and the ruins of the sunken city of Kekova. 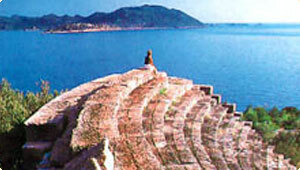 After an underwater earthquake this ancient byzantine city sunk into the coastal waters. It is particularly impressive to admire these ancient remains from a glass bottom boat. Myra: The ancient city of Myra is located nearby to the modern city of Kale (Demre) and is said to be the homeland of the holy Saint Nickolas (the “Santa Claus”) who was bishop in Myra in the year 350 A.D. Besides the famous St.Nickolas church located in the city centre there is a very well preserved roman amphitheatre worth visiting. Skilfully decorated sarcophogi and the impressive rock tombs of Myra are masterpieces of the lycian culture and construction arts. Due to the varying landscape and the Taurus mountains around Kas, this location is not only attractive for sun bathing and those visitors interested in history, but also for freaks of raw nature. The rocky land simply invites one to undertake motorbike and jeep tours or wonderful hiking and climbing excursions, where you can enjoy the clear, fresh air of the mountains and beautiful views. A special and very “oriental” experience is a visit of the bazaar in Kas ( every friday ), a kind of open market, where everything is sold by turkish locals – from fruit and vegetables up to “original” clothes.. 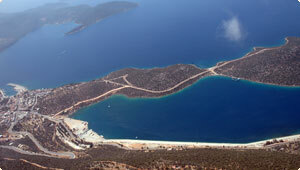 It is an interesting alternative to the mediterranean flair of Kas to plan a trip to the mountain village of Gömbe. The way there leads you along a beautiful panorama road through cool woods until you reach this calm little village surrounded by large fruit trees. 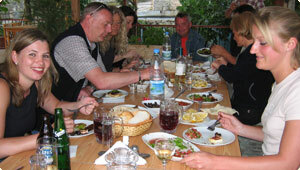 Gömbe is well known for its small restaurants with their own trout breeding farm. It is located next to several small mountain rivers where you can take a comfortable rest under shady trees, enjoy a meal of fresh fish and a good glass of wine – and wait for the nightfall. For those who like hiking and climbing, a daytrip to Saklikent is an absolute must. This little village is located in a hidden place in the mountains and provides the entrance to a rocky canyon of more than 2 kilometres length. 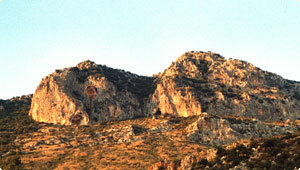 This area is perfect for extensive walks and climbing deep in the canyon is a real challenge to climbing freaks. The icy waters of the small canyon river offer cool refreshment particularly on a hot summer´s day.